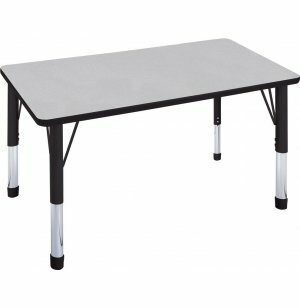 Hercules Adjustable Height Rectangular Activity Table 30x72"
Your toughest projects and group activities can be well-supported by Academia's Hercules activity tables. 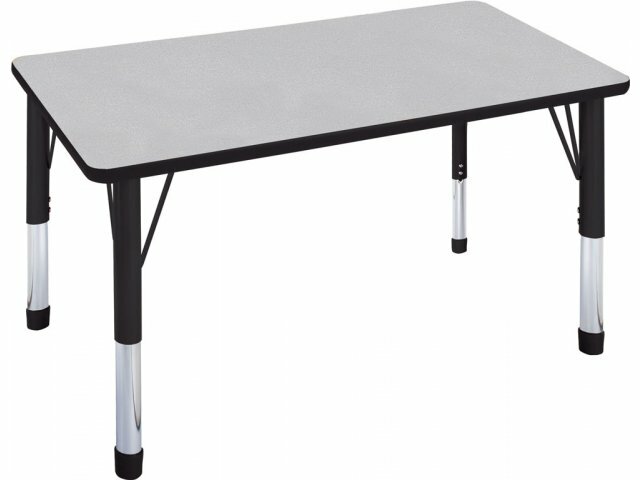 With new reinforced Hercules legs, these activity tables offer solid functional furniture for any educational or classroom setting. For maximum versatility, two height ranges are available - toddler-height and regular-height legs. 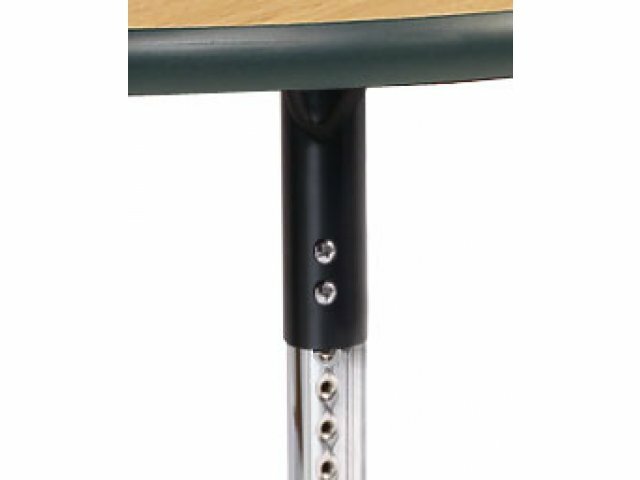 Steel legs sport a heavy-duty construction, with 18-gauge leg uppers, 16-gauge leg inserts and heavy-duty support plates for additional stability. 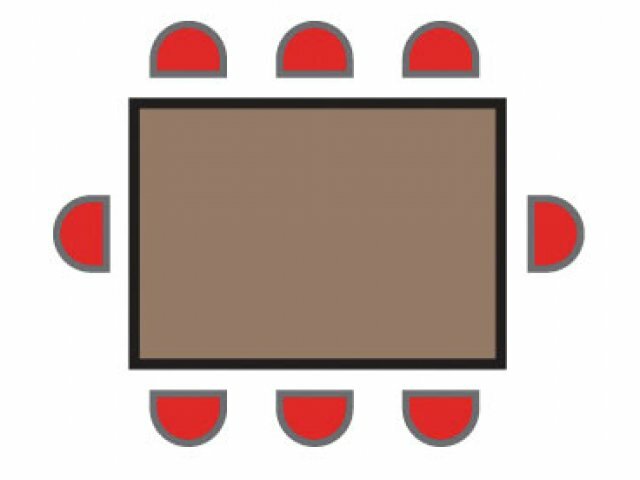 These modern classroom activity tables grant a polished look to any room, with attractive coordinated T-molds, leg uppers and glides. 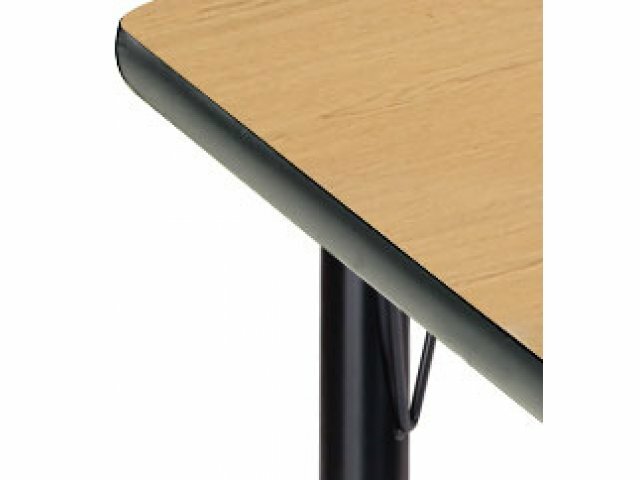 Matching over-sized plastic glide caps allow you to easily move the activity tables without scuffing your floor. Hairpin braces offer increased stability and strength, and prevent wobbling. Colored Accenting Available: For colored banding, leg and glide order model GSCH-3072. Enduring Strength: Well-built Hercules steel legs will withstand years of demanding use, with 18-gauge leg uppers, 16-gauge leg inserts bolted in place, and heavy-duty support plates for extra stability. 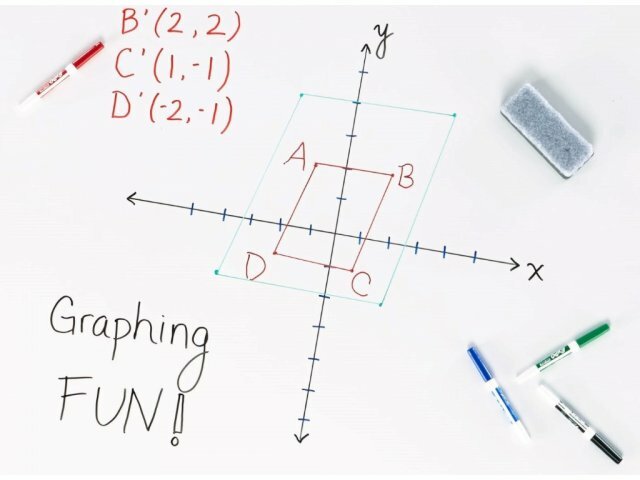 Unlimited Uses: Suitable for a wide variety of functions, these multi-purpose activity tables are an asset to any classroom or educational setting. 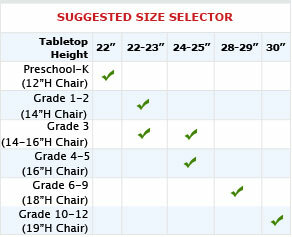 Adaptable Comfort: Two height ranges, toddler (17"-24" table height) or regular (23"-32" table height), are available. Both are adjustable in 1" increments, making it easy to accommodate users of different sizes.